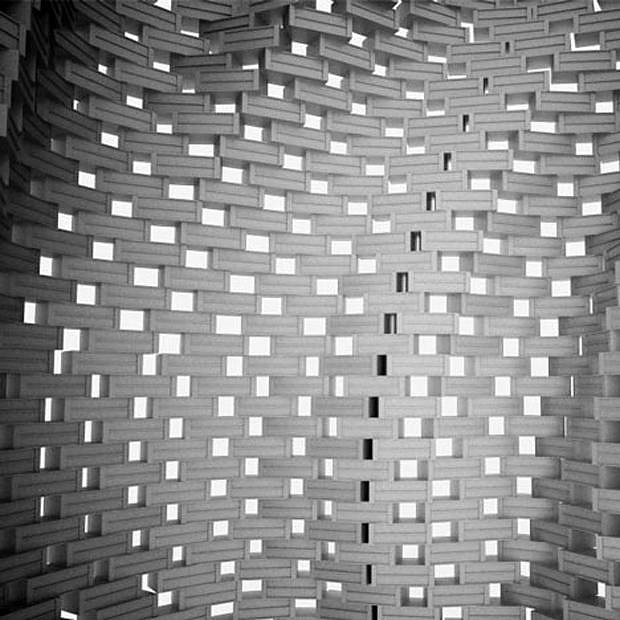 HomeBlogArchitectureFlight Assembled Architecture at frAC Centre. Flight Assembled Architecture at frAC Centre. 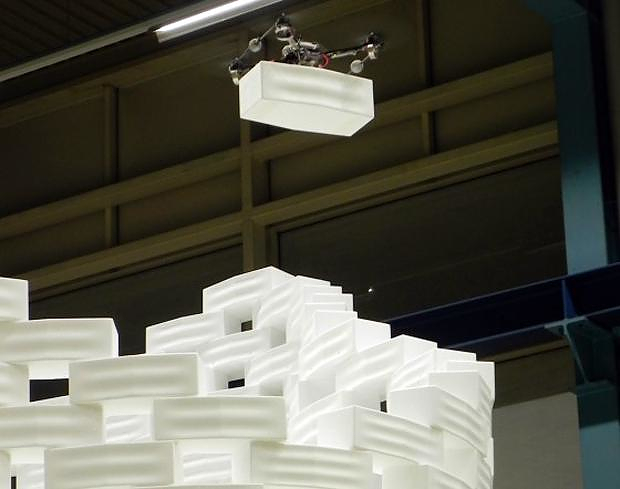 The frAC Centre in Orléans, France recently hosted the innovative exhibition “Flight Assembled Architecture” which is the first ever installation built by flying robots. 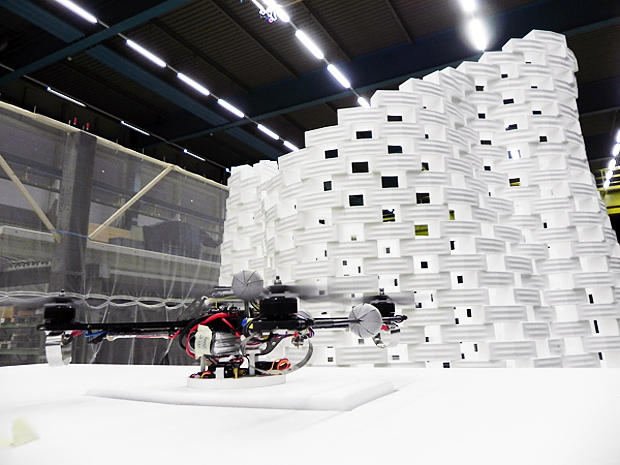 The project has been developed by Swiss architects Gramazio & Kohler in collaboration with Italian robot designer Raffaello D’Andrea , the aim was to demonstrate the “physical process of dynamic formation”. 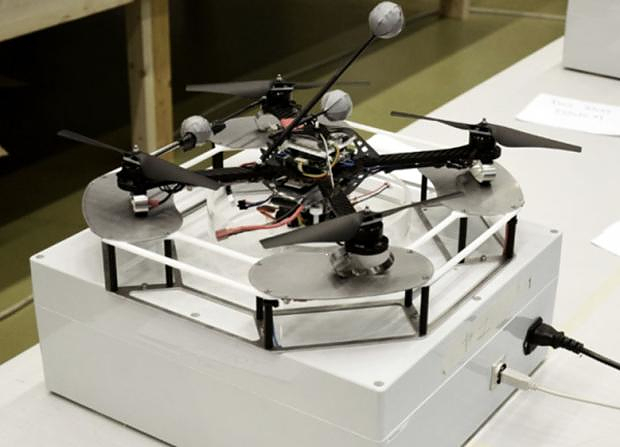 The installation involves a fleet of robot quadrocopters, engineered and built by ETH Zürich, that were assigned to assemble a tower structure. This is a 1:100 scale model of a “Vertical Village” conceived by Gramazio & Kohler. 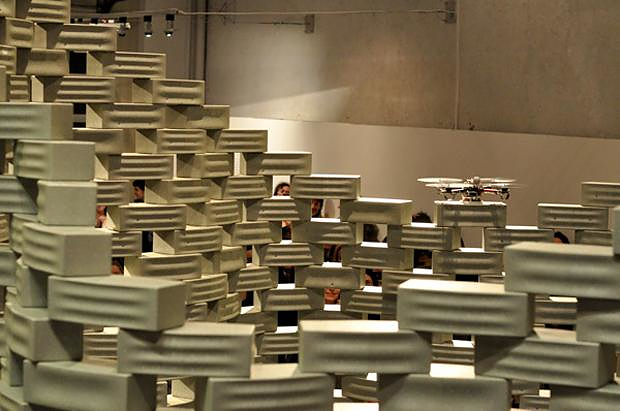 The 6 meter high and 3.5 meter wide structure was made up of 1.500 prefabricated polystyrene foam bricks. 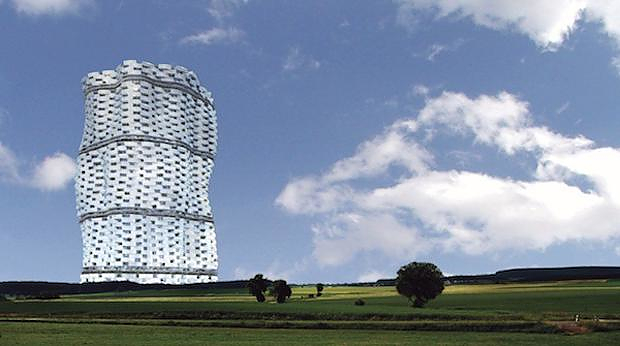 In reality this would have been 600 meters high and would provide living space for 30.000 inhabitants. 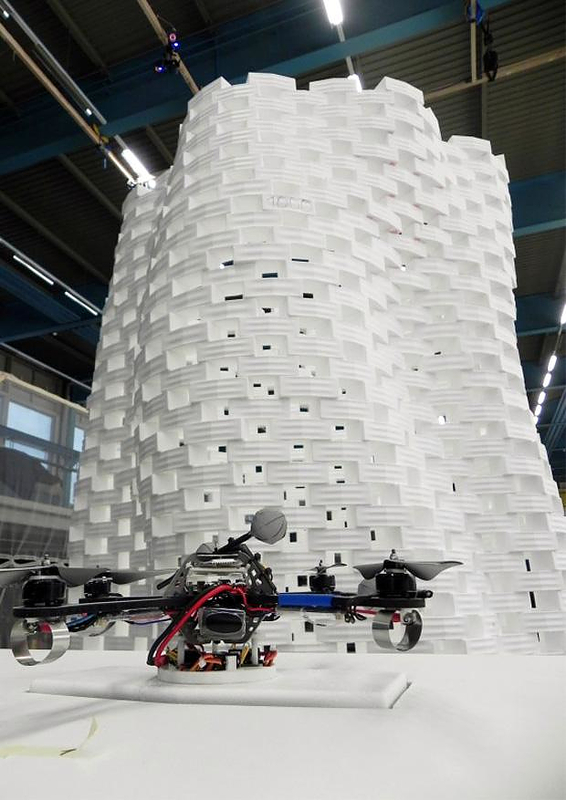 A swarm of robots coordinated flawlessly and have successfully built the beautiful miniature tower that is the world’s first building built by flying robots. 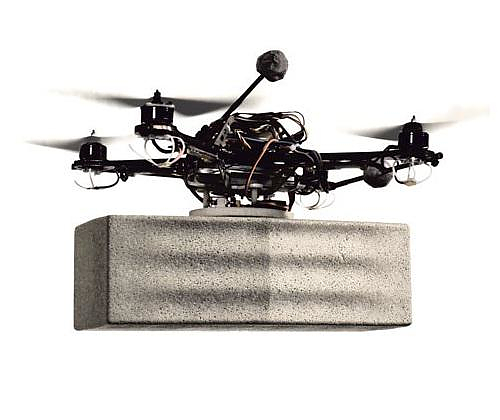 Flight Assembled Architecture is an impressive and very demanding project, which combines architecture, robotics and artificial intelligence. The successful completion of the project becomes an even more impressive feat, if one considers that everything took place within a confined space with only 10m by 10m by 10m of available airspace. 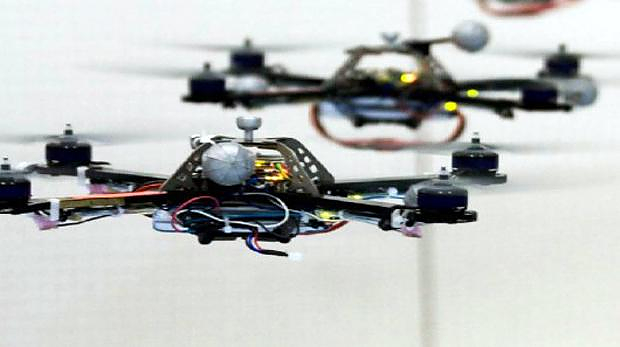 Within those close quarters up to 50 flying robots can be tracked simultaneously, at a rate of 370 frames a second, with millimeter accuracy. In addition to the technological aspects of the project equally inspiring is the architectural vision expressed by Gramazio & Kohler architects. The 600 meter high tower includes apartments, stores, cafeterias, cinemas, parks and everything else a small 30.000 people community would require. All apartments have magnificent view to the exterior and the interior of the tower, with the other side of the tower 300 meters away. 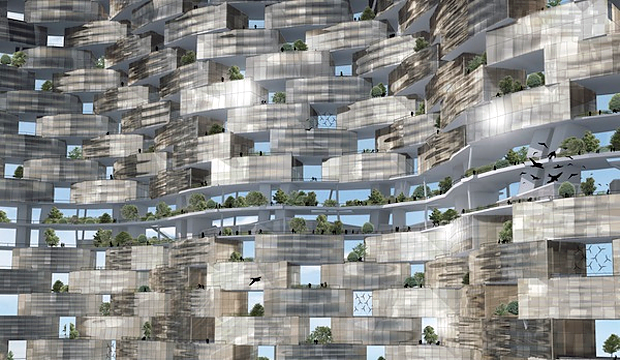 In addition the porous structure with the hollowed center would allow plenty of direct sunlight to all condos. Finally the residents would enjoy the advantage of being 7 minutes away from each other at most. This means that every resident would be able to reach most distant site of the tower in just 7 minutes, without a car, courtesy of an advanced system of express and local elevators, allowing ultra-efficient transportation. Raffaello D’Andrea is professor of Dynamic Systems and Control at ETH Zürich (The Swiss Federal Institute of Technology in Zurich). He also is technical co-founder and chief technology advisor for Kiva Systems, a Boston area high-tech company that has developed a revolutionary material handling system utilizing hundreds of fully autonomous mobile robots. He was the faculty advisor and system architect of the Cornell Robot Soccer Team, four-time world champions at the international RoboCup competition in Sweden, Australia, Italy, and Japan. 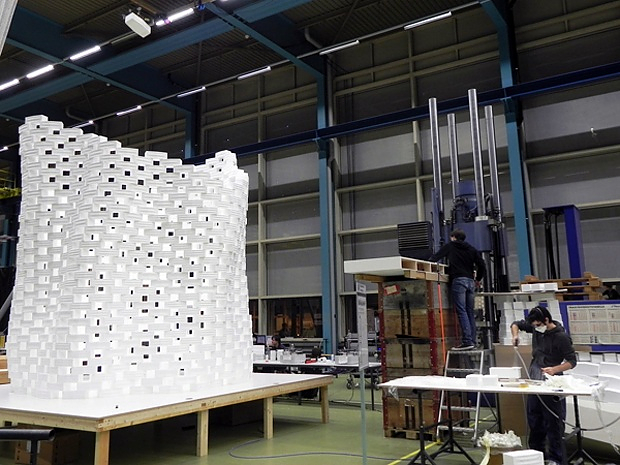 Fabio Gramazio and Matthias Kohler are architects with multi-disciplinary interests ranging from computational design and robotic fabrication to material innovation. Solar Wind a Viaduct with built-in Wind Turbines. 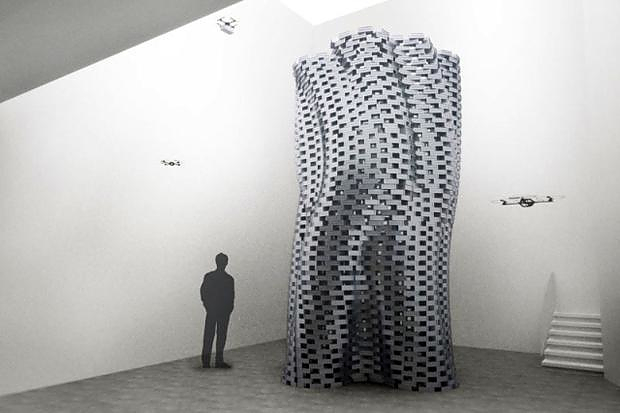 Hyper Matrix, an amazing kinetic landscapes media art installation.